Can you hear Jack Nicholson in, “A Few Good Men,” screaming at Tom Cruise in the courtroom as you read that? No? Read it again, I’ll wait. I bet you did that time. How many times have I heard someone say that the church in America needs to go deeper? Seriously, this is not new, I have heard this since 1977; the year I surrendered my life to Jesus. What a great lyric, right? What did Jesus tell us? My yoke is easy and My burden is light? What is it that I am being told here? Jesus went out of his way, all the way from the throne room of God almighty as a matter of fact, to make things simple and uncomplicated. My BURDEN = my expectation of living it out. It would be very much like Jesus saying today, “Hey, come learn from me where we will keep it simple stupid.” KISS. There are stories upon stories, interactions upon interactions, recorded even as primary sources in the Bible. These people were there, yet I cannot find one instance of Jesus “Going Deeper.” I cannot find one time that Jesus waxed theologically eloquent to be perceived as deep, intellectual, educated or even holier than thou. Isn’t it amazing that Jesus came 2,000 years ago and stood against the “Spiritually Elite” of the day, and we dive into the shallow end of the spiritual pool trying to make it “look deep” so we can become the very elite Jesus lined out? Trust me, I have met people that believe they are spiritually elite. Before you say “Not me,” take a good look at your attitude. What about your actions? I’m not ranting, I am challenging you just like I challenge me. We are so easy on ourselves and so hard on others aren’t we? Jesus kept it simple and avoided “Deep;” Love God, love people as yourselves he said. It isn’t complicated but it can be hard. So I’m wrestling with what it is that people are saying when they say we need to go deeper. I think it has to do with becoming more “Biblically literate.” I would be a big advocate of that. (But Sunday mornings are not for your Pastor to put you through Bible College because you don’t want to quit your job, sell everything and go yourself.) As people dive into their bibles, however, instead of taking Jesus’ yoke, people make up a new yoke all on their own because it fits the narrative they want to follow. They make their own Jesus and accessorize him like a Barbi Doll: God wants me happy, God wants me wealthy, God says my sin is ok. God is a Calvinist, God is an Armenianist. We have to be Jews to be Christians. It goes on and on. It is very sad when people tell me “affluence is a sign, the proof, of the favor of God.” What a lie. Surely all good gifts come down from the father of lights. Truly I believe that. What of the Christians around the world that die every day at the hands of heathens and pagans though? They die in poor, third world countries, martyred, are they hated of God? Prosperity is wonderful, but as an indicator of God’s favor it is a poor theological barometer. Some of the wealthiest people in the world are not Christians, are they more loved by God than me? Does not the enemy appear as an Angel of light? Doesn’t he exist to distract us and lead us astray? Wouldn’t he be most successful if he were to do that with sparkly, shiny baubles and prosperity? Honestly, I do not believe that most of the people crying out for a “Deeper Church” really know what they are asking for. Let’s wade in just a bit. Jesus commanded us in Matthew 28 to go into all the world and make disciples. Now let’s go deeper. Name the disciples that you have made since you personally have come to know Jesus as your Lord and Savior. Name the people that you have poured into and drawn close to Christ with and then baptized or attended their baptism. See what I mean, if you cannot name names, then I am telling you that you can’t handle going deeper. Surely Jesus is still doing what he was doing when he commanded his actual disciples to make disciples. Right? Why would he take up residence in you just to stop doing the very thing he came to earth to do? No, no he wouldn’t. Jesus commanded us to give a cup of cold water to those that need it. When was the last time you did that? Feed the hungry rather than explain to your children that they just need to get jobs? Sound familiar? Give your cloak to someone who needs it? Sell everything you have and give to the poor then hit the road and tell people about Jesus? No? You aren’t even serious about going deeper are you? (I have met some that are) But let’s just be serious here, you can’t handle deeper if you won’t even do the simple and obvious. To people that cry out against the church I say, it is time to get over your self, get off your pew, or chair, and show us you are serious. You want the church to go deeper? Jesus made going deeper doing the doing. Go do it. He didn’t make it about knowledge, but love, and love is a verb. Plant a church with the people you have led to the Lord. You want to go deeper? I really do think it is a good idea. Let’s try this, take time each day to read Jesus words in the Bible; you pick the version. Then, when you see that Jesus says to do something, make it a part of your prayer life and your serving life and your giving life to DO IT. Watch what happens when that begins to take place in the lives of the church. Stop struggling, stop striving today! Today I want to share a moment of serendipity with you, a moment that occurred as I was reading my Bible. I opened up to a passage and as I prepared my heart I saw a passage above that I had marked previously. As I gazed upon my marks and read the words, God poked my heart and said, “Good morning Joe.” So I pass this on that God may also poke your heart and let you know that he is here. Now matter what it is that you are about to face, big or small, he is here. No matter how loud the noise, how dark the night, how evil the valley, he is here. He knows your name. He loves you. He prepared a place for you near him. Like the swallow that builds her nest near the altar, God has a place for you as well. It is in his blessing. Notice that with everything that is going on in your world and mine. With all the false media, the lies, the hate, the wars, the hurt, the rejection, and all the meaningless activity of the mass of humanity, God sits. He isn’t running around threatening, shaking his fist. God is not scared or worried. No, God sits. He is relaxed and watching his children. For some he is sad, for some he rejoices but for all he sits and is working for our good. The scripture says he sits enthroned OVER the flood. He is not worried about the turbulent waters that are crashing down and destroying the earth that time he “started over” with Noah. God is not spazzed or even remotely worried about that flood will do anything other than what he will allow. No, in all our worry, and as we try so hard to get God all wound up in our drama, he sits above the threats. Close your eyes and look at how peaceful he sits on the throne. God is at peace always. I cannot make you believe that God is. I know he is. I cannot prove it to you any more than you can prove he isn’t. I entered this world as a self-absorbed narcissist and until I realized that I am the one that is responsible for my sin, I had no hope. When I saw the God sent his son to die for my sins so that I do not own them, so that I do not suffer the consequence of them nor will they keep me from the throne room any longer, when I surrendered to that truth, my life began to change. You see, In my life, “The Lord IS …” Not only is it true that God is, he is enthroned as the King of the universe. I do not have to be able to answer all the “Why’s” and all the “How’s” or anything else, to know that I am created. The cake doesn’t have to thoroughly know the baker to know there is a baker and the cake is not it. God is too grand, to beautiful, too wonder-full for me to comprehend. Any one that says otherwise is a liar and the truth is not in them. I cannot fathom the depths of God other than to try to understand what he has revealed and reveals to human kind. The lord is King over all that he has made, he is alone is judge, not me. Of all the “deities” in this world that have been made up, the God of the Bible is hands down the most generously giving and the most loving. The Lord gives. God wants to give. It is his love language. He gives life, he gives a place with him in heaven, he gives forgiveness when we slander and crucify him. He gives when we need help, he gives when we need knowledge, he gives when we need love, he gives when we need a family, he gives, and gives, and gives. We on the other hand take, and take, and take, and take. It’s our humanity. It’s our sin. You cannot out give God, but you do not want to understand how stingy he can be. When God asks for us to give back to him, he is serious. To ignore obedience to the Word is to prove that we esteem God as nothing more than a spiritual vending machine. It only proves the depth of our self-centered depravity; shame on us. Sometimes what God gives is the strength to face giants, kill lions, strike down serpents, overcome disasters and face adversity with grace and hope. That’s more than any other clay figurine on a shelf is going to give you. My God says he will give you the gift of his presence; You will not be alone. The Lord gives. As we consider “The Lord gives,” what ever the Lord gives is a blessing to you and I. We may always know why he allows the pain and struggle, and it certainly was not his initial plan for humanity, but he can work it out for our good. The blessing of God is gold in the hands of the righteous. The joy of knowing that the favor of the King of the universe rests upon you brings peace. It doesn’t mean there are no problems in your life. It isn’t a reflection of the absence of struggle and hurt, no, it is the knowledge that he is your father, and he is doing what is best for you at every turn of the sun. It I knowing that though you are outside in the playground called earth, he is intimately aware of what you are doing and going through. Not only is he watching you, but he is “standing” right here while you are preoccupied with all that is going on. His blessing is his gift to you. It is for eternity, but you need to take it. You need to receive it and open it. Know this peace that in the face of death, carries you through all the darkness you may face and all the joy you may encounter. and YOU are the object of all this love today. I woke up in the middle of the night thinking a thought. It has been a thought of mine for quite a while and so I’m going to put it right here for you to wrestle with. You don’t have to agree with me, I’m ok with that. Civility says we can disagree and still be friends; it used to say that any way. Noah was a man that that God came to and asked to build a boat, a very big boat. A boat that saved the world as we know it, if you believe the story; and I do. As you think about what God did in the life of Noah, whom he considered a righteous man at the time, it was a bit irrational to those around him. It had never rained upon the earth. There was no large body of water nearby that we are aware of. The very concept of a “boat” was new, weird, odd, unheralded, or crazy. 120 years worth of crazy depending upon how you understand the story. So God asked Noah to do something that from the outside was very, very “not rational.” Made no sense. It was a bad financial decision. The list could go on and on. What about a guy named Abram? Seriously. This guy, a pagan by any understanding of the story, was living his life and claims that God came to him and told him to up and move. The invitation was to come and follow me [God] and I will show you a land that I am going to give to you and your family, which is going to become a great nation and will bless all the nations of the earth. Wow. Not rational. Not rational you ask? No, not rational. At the time this guy is 75 years of age, his wife is 65 and they have no children what so ever. Abram’s wife had been barren, infertile, unblessed with children for 65 years. Where is this nation going to come from, and where did you say we were going? These are the stories over and over again that show up in the Bible. The Bible that the Christian church claims as their manifesto, their sacred book, their direct word from God himself, this book is full of these stories to the point where it is the norm. It is super normal in the Bible that God asks people to do things they cannot do, things that make no sense, things that cost everything, things that will have the community around them making fun of them. The Kingdom of God Is not of this world. The Kingdom of God does not do things the way this world does them. In this world we think things through, make a plan, save up store up and then claw our way up to the top. This world is a “Me first and you get the leftovers” sort of society. Smart, godly, Christian, people will do the smart, financially fiscal thing that makes the most sense in today’s world. That’s what we teach. This is probably why we don’t see an awful lot of people going into missions. I’m not saying we don’t see some people making missions their life. Jesus tells us in Matthew 6 that we are to make the Kingdom of God the main priority in our lives. Jesus says that if we seek that Kingdom first, all the things that pagans run after; clothes and food and homes and such will be provided by the king himself. The church, the real church, has been called to run after God and his mission. The Christians, the real Christians, have been called to bring the Kingdom of God to bear upon this world. God’s plan for my life is that I make known the Gospel of Jesus Christ and that I love the people that God loves without getting all entrenched in this world. My investments should reflect Kingdom values. My relationships should reflect Kingdom values. My entertainment choices: Movies, music, shows, should all reflect Kingdom values. If my goal is focused on saving, protecting, and or gaining for me and mine, then I’m fooling myself about even being a Christian. God only wants my heart, which gives him everything. Jesus made 120-180 gallons of wine out of water at a wedding once. Just because he said so. Jesus spit on the ground and made mud to put on the blind man’s eyes. That’s how he healed him. Jesus told a man to sell everything he had, give to the poor and then to come and follow Jesus. Jesus told one of his followers to walk out across the lake on top of the water. Jesus forgave a man’s sins and in doing so, healed the man. Jesus didn’t condemn a naked woman caught in the bed of a married man, even though his “Law” said to stone her to death. Jesus ate in the homes of sinners and drank their wine. People called him a drunkard. Jesus cast out demons on a regular basis. Jesus went to “church” weekly, as was his custom. Jesus died for sins he never committed, for people that rejected him and didn’t care about him. IF YOU BELIEVE, WHY DON’T YOU STILL DO IT? Do you believe these things really happened or are they just stories to you? Think about it for a moment. Do you really, honestly, with all your heart, believe that Jesus did and said these things to you and I and the world of today? Why doesn’t it compel you to do irrational things that make no sense to spiritually anemic, or spiritually dead people? Does Jesus live inside you? Why isn’t he doing through you what he did in your Bible? All Jesus asked us to do was change the world one person at a time. “Go into all the world” he said, “and make disciples.” Before he said that, he let us know that he was sending his Holy Spirit, the Counselor, to teach us all things AND to remind us of everything Jesus said to us. We are not alone; he is with us IF we are surrendered to him. Love he said, love the people into the Kingdom of Heaven. “”Each one reach one,” it’s not political, it’s not economical, and I can promise you it is certainly not RATIONAL. Get out of your comfort zone, you cubicle, your hometown and the plan that you have FOR your life. RISK it all for the Kingdom of Heaven and watch what God does IN your life. ARE YOU AN EFFECTIVE CHRISTIAN? I’m reading through Matthew. Whenever the voice of the enemy or the activity of the enemy starts escalating, I run to my commanding officers standing orders. Whenever Lucifer starts influencing the world I operate in, I turn to Jesus. What did HE say? What does HE expect? What is has asking of me? That’s what I need to know. I believe as a result of reading Ezekiel 28 and Genesis 1-2, that I exist and have my life behind enemy lines; that every day I get up I need to be quiet, and spend time on the “Horn” with the home base. I need to stay in touch with God. He sees me down here and he has work for me to do. Now, I get that I need to be bold, and no one ever accused me of being too gentle. (God forgive me that is not always a positive, sometimes it is a sin.) But as I go about my calling, I recognize that the enemy is coming after me, just like he is coming after you. How’s your day going by the way? So a lot is transpiring and not all good, but I would agree necessary. So I’m sitting in my office and I think the answer is to be with God. So, I turn to Matthew 5 and I begin to read. Blessed are the poor in spirit – for theirs in the Kingdom of Heaven. The economic poor, the spiritually poor, the relationally poor. 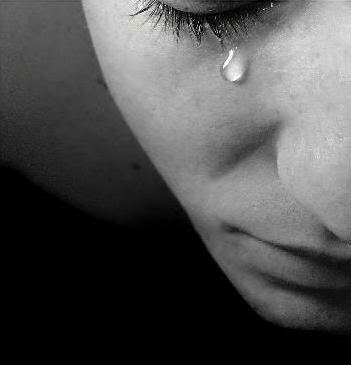 The depressed, the anguished, the abused, raped, jobless, cast aside, the mean, the ugly, the loud, the hiding. The poor. The drained, the empty, the “don’t have anymore” kind of people. Blessed are those, Jesus is saying, who have come to the end of themselves. Enough of the lies, the belief you are more than you are, or that you have more than you have. You are wrecked. There is nothing. God here I am. A leper. A cripple. An Oil-less virgin, waiting, crying, now fallen asleep waiting for the bridegroom. The less than, the least of these, those mourning. Blessed are those who mourn – for they will be comforted. They are crying out, they want to be heard, they have no voice. They are beaten down and oppressed. They are those who are imprisoned; rightfully and wrongfully. Imprisoned in a skin color, imprisoned in a sexual orientation, imprisoned in racism, imprisoned in hate, imprisoned in the need to be a victim, to be important and stand on a stage, imprisoned in a besetting sin that will not go away, or be healed, or be satisfied; so they cry. They mourn inside, they are weak, they are scared and meek. Blessed are the meek, for they shall inherit the earth. They recognize their situation, they finally come to the end of themselves and they wait. They are waiting on God. They want to rise up on wings of eagles but they are willing to wait. They don’t chase their education and then wave it around like a flag. They don’t come in and pretend to be humble telling you all the while how humble they really are. They know their calling, more importantly their role, and they long to play it. They move forward seeking those that they can move forward. They don’t want things; they just care. As a result of caring, the world is at their feet. They aren’t easily offended and they aren’t easily robbed. They just love. Jesus showed us this character. In their obedience, they hunger for more of God. Blessed are those who hunger and thirst for righteousness – for they shall be filled. Not gluttonous, not covetous, but hungry. They are not satisfied with the status quo, they believe things can be better. Not through hate and violence, but through hunger and meekness. They want a better marriage, so they serve more, give more and leave more: like Jesus did. They are hungry for a chance to serve the less fortunate, hungry for an opportunity to give to the needy. Their hunger is a godly hunger, not the perverted hunger of the prince of the power of the air. As a result, they just long to be filled: filled with the Spirit, filled with the presence, filled with the opportunity, and filled with love for the lost and the despised. They will be filled. The list goes on and it goes through the merciful who will receive mercy, pure in heart who will see GOD himself in all that is around him, the peacemakers who shall be called sons of God (no gender intended from me), and then it lands on the persecuted. Blessed are those who are persecuted because of righteousness – for theirs is the kingdom of heaven. They have already received the Kingdom. They are already citizens of the glorious home we long for. You know all the other “blessed are’s” feel good, feel spiritual, feel like God is up there just caring for us all, watching over us. Feel like he is keeping us from all harm; and then there is this. Blessed are you when you are persecuted. When you read that word, don’t think of the professor that mocks you in class, the fellow students that make fun of you for being a “goody-goody.” No, this is persecution for doing what God called you to do. This is being harassed by the enemy to the point that things break, sickness is thrown at you, people show up to lie and deride you, even take credit for what you did. It is THE ENEMY! We know the enemy is coming. Shoot, we started this with the understanding that he is here and we are in his territory at war. Of course he is going to get mean and nasty, and ugly; he is the father of lies. But you are blessed when he takes notice of you. Jesus says you are blessed when you are so involved in the kingdom they the enemy persecutes you and falsely says all kinds of evil against you because of Jesus, for your reward in heaven is great AND they (enemy) also persecuted those prophets who went before you. You are in good company. So, back to the top. When the enemy starts lying to me I run to Jesus, get on the horn with the home base. Today, I heard God, through a recent message I preached, remind me that it is “principalities and powers pushing people’s buttons to get at you.” See the goings on as the father of lies pushing people around to distract you from the calling, the mission, the vision! Then press on! And in the margin of my Bible I had written a while ago, “Are you an effective Christian?” After all the “Blessed are’s”, and all the, “You shall receive’s” the question I am left with is, “Are you being an effective Christian?” And as I read that I have to say, not if I am whining and complaining. I cannot be effective if I am focused on people and things and comfort. I cannot receive the blessing and help if my goal is not the Kingdom of Heaven here and now!! If for just a moment the enemy makes me believe that it is people and ME, I am most vulnerable to attack and depression. Are you an effective Christian? 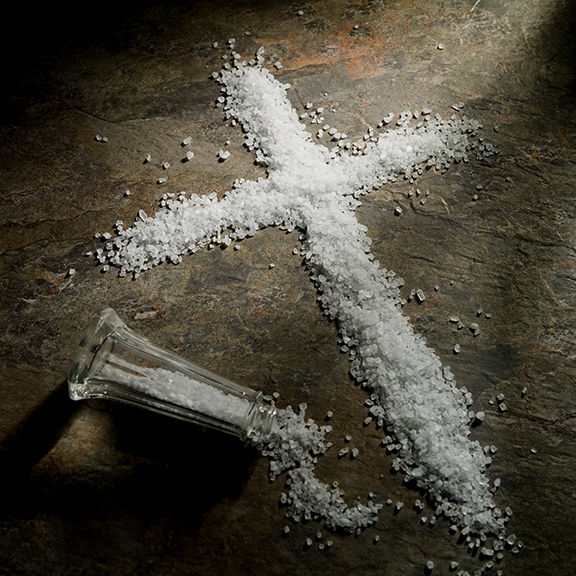 What’s your salt quotient and what are you doing about it?